3M 4550 Transparency Maker Service and Parts Manual Discounts Apply ! 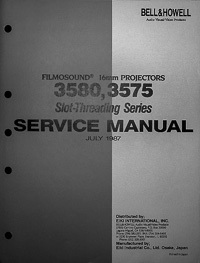 Photocopy of the original 3m 4550 Transparency Maker service and parts manual. 3M 800 Microfiche Reader - Printer Owners Manual Discounts Apply ! 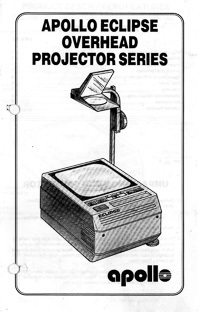 3M 900 / 955 Series Overhead Projector Service Manual Discounts Apply ! 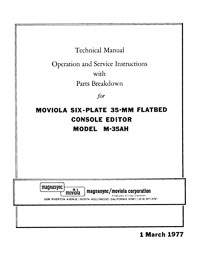 Photocopy of the original 1992 3M 900/955 Series Overhead Projectors Service Manual. 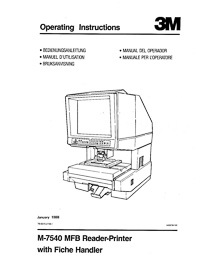 3M 900 Microfiche Reader - Printer Owners Manual Discounts Apply ! 3M M-7540 MFB Microfilm Reader / Printer Owners Manual Discounts Apply ! 8mm Bell & Howell Design 221 Projector Service and Parts Manual Discounts Apply ! 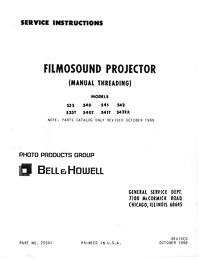 Photocopy of the original Service Instructions and Parts Catalog for the Bell & Howell 8mm Design 221 Projector. 8mm Bell & Howell Projector Design 370 Lumina 1.2 Service and Parts Manual Discounts Apply ! Photocopy of the original 1960 Service Instructions and Parts Catalog for the 8 mm Bell & Howell Lumina Design 370 Projector. 8mm Bell & Howell Projector Models 122-L and 122-K Service and Parts Manual Discounts Apply ! 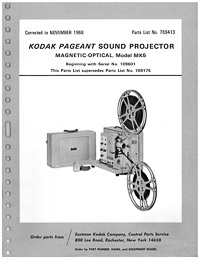 Photocopy of the original 1957 Service Instructions and Parts Catalog for the Bell & Howell 8mm Design 122 Projector, models L and K.
8mm Bell & Howell Projector Models 122-LC and 122-LR Service and Parts Manual Discounts Apply ! Photocopy of the original 1960 Service Instructions and Parts Catalog for the Bell & Howell 8mm Design 122 Projector, models LC and LR. Apollo Eclipse Overhead Projector Owner's Manual Discounts Apply ! Photocopy of the original 1992 Apollo Eclipse Overhead Projector owner's manual. Apollo QL-100 16mm Sound Projector Owners Manual Discounts Apply ! Audiotronics Model 800, 800P Tutorette Service Data Discounts Apply ! 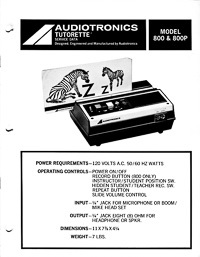 Reprint of the original Audiotronics Model 800, 800P Tutorette Service Data.